Marilyn Monroe Socialite in “Some Like it Hot” 1920’s Themed Movie. Costume Ideas:1920’s Dancing with the Stars Fundraiser Paris, TX, June 15, 2013 in Paris, TX. ‘Dancing with the Stars’ is a 1920s Fundraiser Costume Party! This 1920s ‘Dancing with the Stars’ Fundraiser will be held at Love Civic Center in Paris, TX. Wear your costumes! 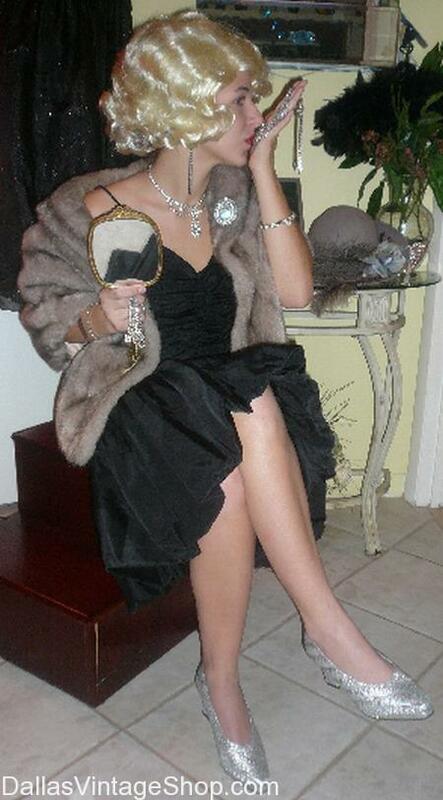 If you need 1920s costume ideas or costumes and accessories you will find plenty at Dallas Vintage Shop. Marilyn Monroe Socialite in “Some Like it Hot” 1920’s Themed Movie. Costume Ideas:1920’s Dancing with the Stars Fundraiser Paris, TX, June 15, 2013 in Paris, TX. ‘Dancing with the Stars’ is a 1920s Fundraiser Costume Party! This 1920s ‘Dancing with the Stars’ Fundraiser will be held at Love Civic Center in Paris, TX. This entry is filed under Paris. You can follow any responses to this entry through the RSS 2.0 feed. Both comments and pings are currently closed.